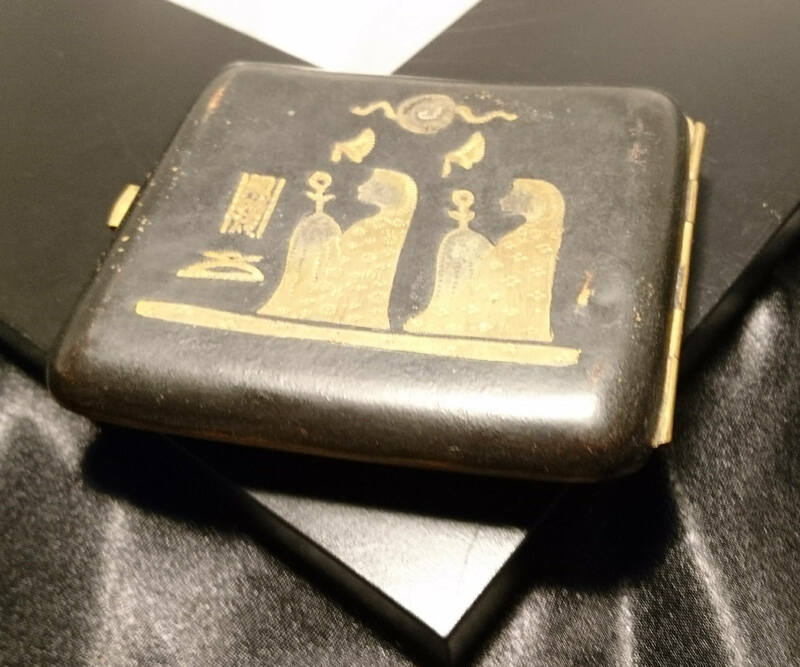 A fantastic collectable vintage cigarette case from the 30's, Egyptian revival fever, this cigarette case is highly detailed and very attractive. 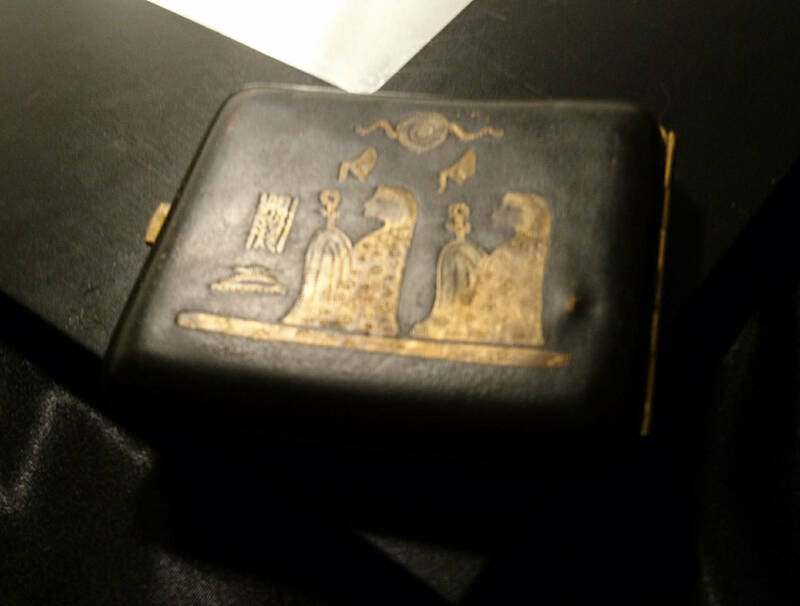 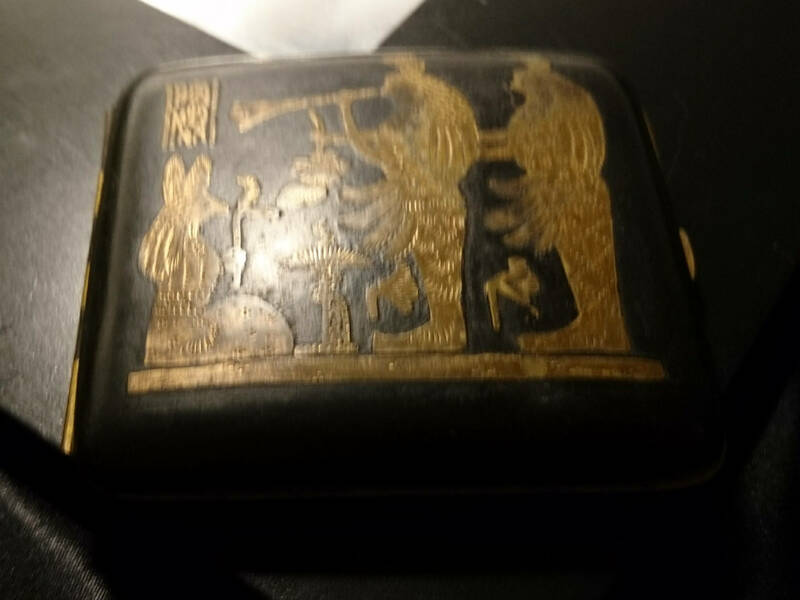 Made from japanned brass with Egyptian scenes both on the front and the rear, it has a brass rim, covered inside and elasticated straps to hold the cigarettes in place. 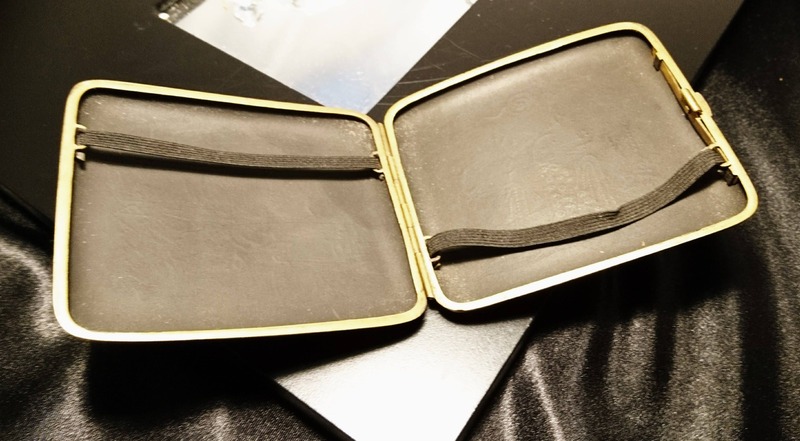 It is in a used vintage condition there are signs of use particularly on the case but it is in relatively good condition for the age, the inside is in a very nice clean condition. 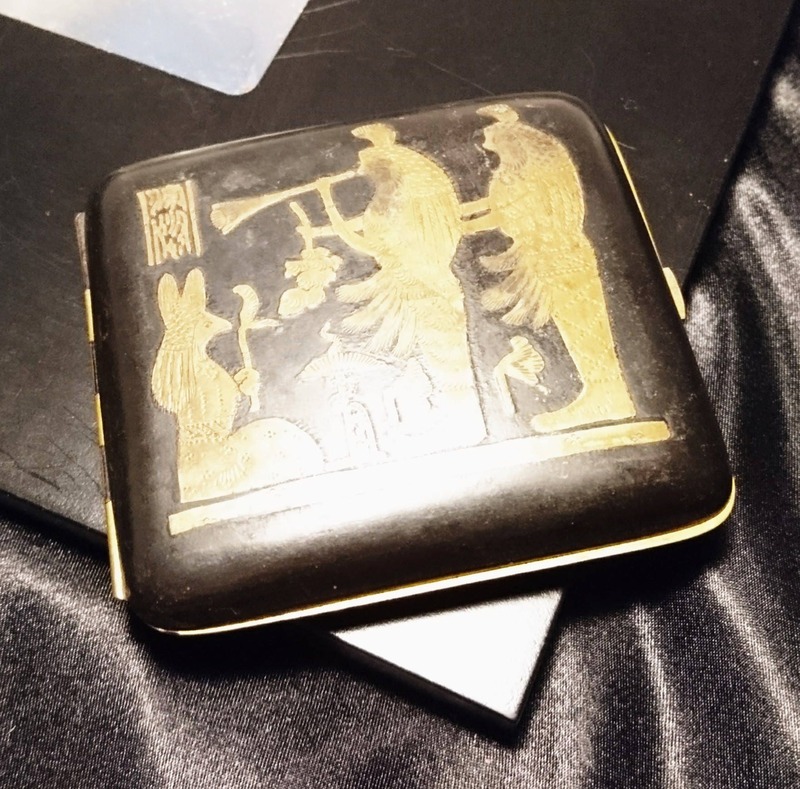 Approx 3.5" width and 3" height.